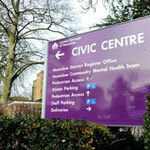 Welcome to the CCP part of Speak Out in Hounslow. Campaigning is standing up for your rights and telling people what you are unhappy about. Consultations are asking people what they think about things. Partnerships are about working together with other people like the council or other charities. Our CCP group meets once a month. We have 18 members & are looking for new people to join us. If you have a learning disability or autism and would like to help CCP, then get in touch! We work to raise awareness of hate crime towards people with learning disabilities. Earlier this year we received the promise from Commander Bilson in Hounslow that his Borough would sign up to the Police Hate Crime Pledge. This makes reporting hate crime easier. It also makes sure the police take hate crime towards people with disabilities seriously. We ran two awareness sessions at Hounslow Manor School. The pupils told us they now better understood some of the difficulties people face. We are also working with the Court Witness Service - a voluntary organisation who came to us asking how they could better support witnesses who have a learning disability. CCP are represented on a number of groups and committees. Our 18 members represent 500+ Speak Out members and also the wider learning disability community. We are on Hounslow Learning Disability Partnership Board (LDPB). One of our members is co-chair. 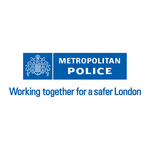 We are also on the Police Independent Advisory Group (IAG). We also have a member who sits on the Disability Community Forum. We are on the Community Policing Consultative Group (CPCG). Earlier this year they awarded us £500 towards the presenting of a Hate Crime play. This was performed by some of our members at The Waterman's Theatre, Brentford. Our members do a lot for the community so Speak Out's staff like to support our members! This year we provided over 20 hours of training on computer skills. As a campaiging group, we feel it's important that our members use their vote. So before the London Elections back in May we ran a training session to explain how the voting works and make it easy. We are please to say 17 out of our 18 members voted. That's a turnout of 94%. Compare that to the national average of people with a learning disability voting which is 20%.